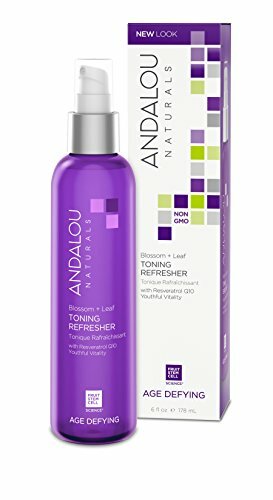 Andalou Naturals Toning Refresher Blossom + Leaf Description Age Defying Fruit Stem Cells Non GMO For Dry & Sensitive Skin Renew Repair Regenerate pH Balanced & Hypo-Allergenic Gluten Free No Paraben Preservatives No Sulfates or Phthalates Vegan & Cruelty Free Age Defying Solutions Target; Dry, Very Dry, & Sensitive Skin Types Dehydrated Dull and Flaky Hyper-Sensitive Premature Aging Cleanse – Apricot Probiotic Cleansing Milk Exfoliate – BioActive 8 Berry Fruit Enzyme Mask Nourish – Avo Cocoa Skin Food Mask Tone – Blossom + Leaf Toning Refresher Repair – Fruit Stem Cell Revitalize Serum Moisturize Day – Super Goji Peptide Perfecting Cream – Hyaluronic DMAE Lift & Firm Cream – DIY booster SPF 30 Facial Serum Unscented Protect Day – Ultra Sheer daily defense facial lotion with SPF 18 – Skin perfecting beauty balm natural tint with SPF 30 Moisturize Night – Resveratrol Q10 Night Repair cream Treatment – Deep wrinkle dermal filler Fruit Stem Cell Complex, superfruit antioxidants, and aloe vera polysaccharides protect, hydrate, and replenish essential nutrients, soothing irritation and balancing skin’s delicate pH, as uplifting notes of geranium and orange leaf refresh for a healthy glow. To Use: Shake well, close eyes and gently mist fact and neck. 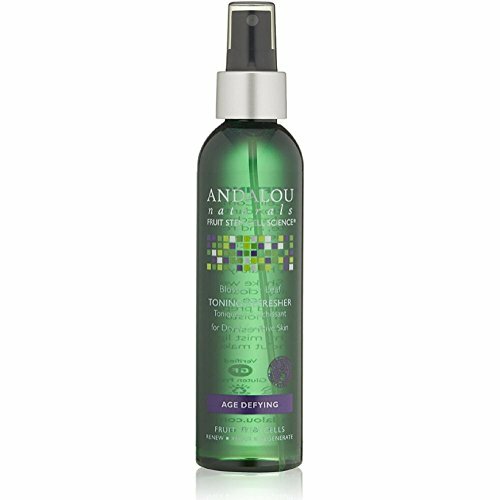 After cleansing will help balance pH and best prepare skin for optimum moisturizing benefits.